Publisher: Macmillan & Co, Ltd, 1903. 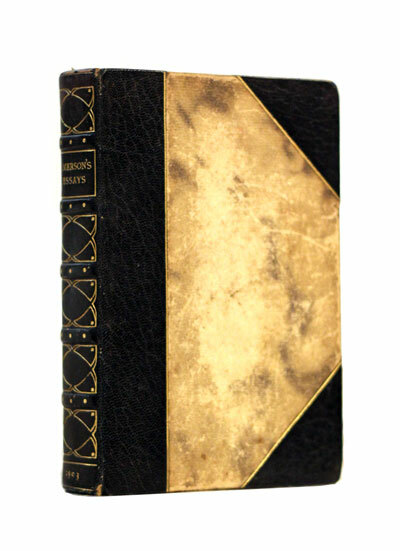 Condition: Hardcover, leather spine and corners with marbled boards. Lovely book. Corners bumped, wear to top and bottom of spine, but otherwise good. Some foxing of the interior, binding shaken, but otherwise good. 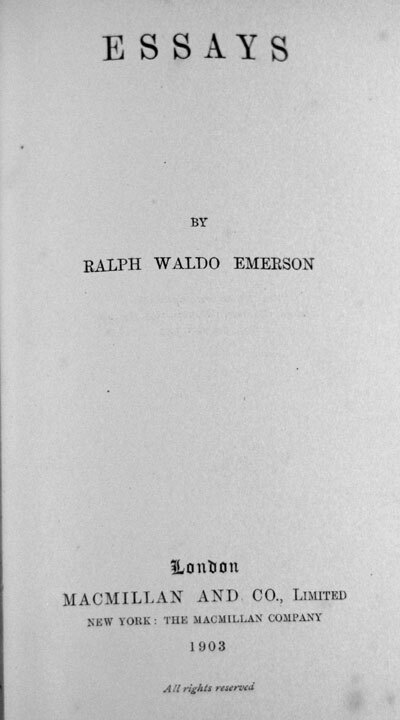 Emerson gradually moved away from the religious and social beliefs of his contemporaries, formulating and expressing the philosophy of Transcendentalism in his 1836 essay, Nature. Following this ground-breaking work, he gave a speech entitled “The American Scholar” in 1837, which Oliver Wendell Holmes, Sr. considered to be America’s “Intellectual Declaration of Independence”.